Whether you’re simply looking to replace your golf cart’s dead batteries or you’re trying to find a suitable battery for something a bit more complicated, like an electric vehicle conversion project or a solar system, this comprehensive battery guide was created to help you narrow down the best choices in today’s available golf cart battery technology. Golf cart batteries are desirable for many different uses, mainly because they are designed to last a long time with many deep charge and recharge cycles, which simply means that they can take a lot more use and abuse before they go completely dead. Figuring out which golf cart or deep cycle batteries are the right choice can be a little bit of a headache, which is why we’ve created this comprehensive battery review and guide to help compare batteries and the best places to buy them. You’ll find a few main types of golf cart batteries, the biggest difference between them is the voltage that they come in. Typically, your cart will use a set of either 6-volt, 8-volt or 12-volt batteries. The amount of batteries and the voltage requirements will vary between different golf cart manufacturers. 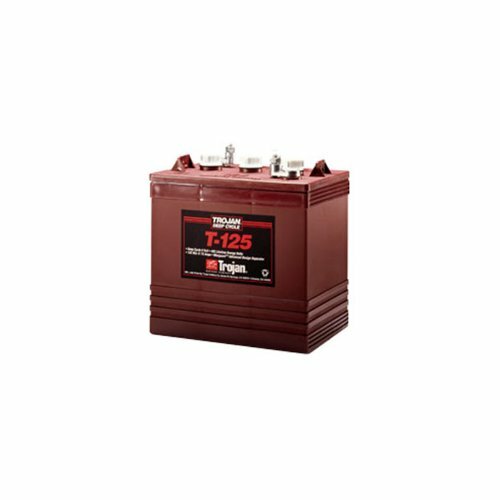 The main difference between the batteries that you’ll find under the hood of your car and these deep cycle batteries, is that cart batteries are used for a lot longer duration than your standard car starting battery. The reason for this is that they are responsible for constantly powering the motors that move the carts, versus only being use for a short burst like a car battery. The longer duration and deeper cycles mean that the internals of the battery need to be a lot more robust than a normal car battery. These two types of batteries are simply designed to do two totally different jobs. Car batteries are only designed for maybe 50 charge-recharge cycles, the plates inside these are much thinner and the active materials are porous. If you discharge and recharge them repeatedly, the positive plates will weaken and the active material will start shedding from the grids. That’s perfectly acceptable though, this design is what allows them to deliver the quick, high-amp energy that you need to start your car. Just know that this type of battery wouldn’t last very long in your cart. 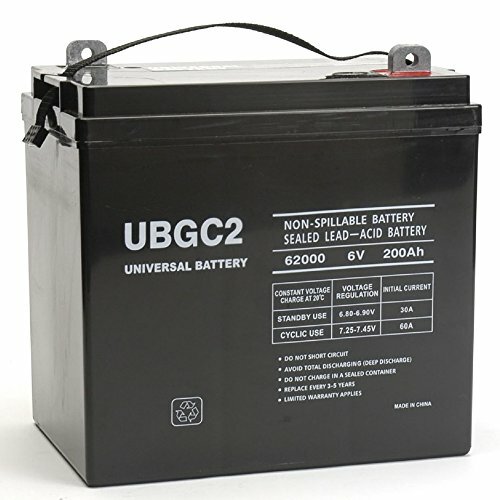 Deep cycle lead-acid golf cart batteries are constructed with much thicker plates and more dense materials, so that they can hold up to deep discharge-recharge cycles. This is why they can hold up to prolonged use and many, many recharge and discharge cycles. There are two main types of deep cycle batteries, Flooded Lead Acid (aka wet cell) and Absorbed Glass Mat (AGM). For golf carts, wet cell batteries will be the best bang for your buck, mostly because they are initially cheaper, and can be maintained for longer life. For solar projects, most people go with AGM because of the way that they utilize the solar panel charge more efficiently. These batteries are sealed however, and cannot be maintained for longer life like a FLA battery can. Are you looking for the most cost efficient way to store energy from your solar panels? Golf cart batteries may be just the ticket for you.